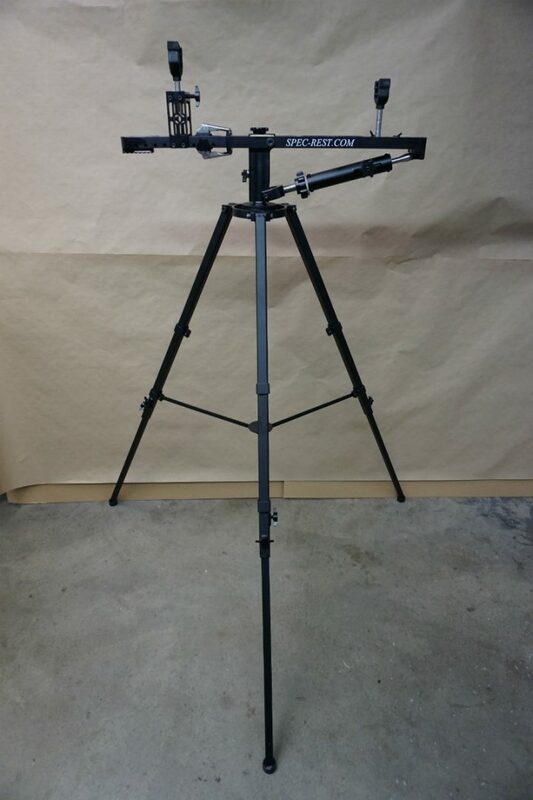 The VR555T comes with (1) SPEC-REST arm assembly (1) Tri-pod base and (3) yokes, (2) wide yoke and (1) narrow yokes. This compliment of yokes will platform most bolt action rifles. Our yoke-E is a rear yoke extender designed to accommodate pistol grip and long magazine carbines, and can be purchased separately. This is the kit used by hunters as well as tactical operators. SPEC-REST allows for fast macro range of motion to track moving or static targets combined with micro-precision elevation adjustments to achieve hyper accurate shots at extreme distance by eliminating optics quiver and vibrations.